Shanghai is a city that lives and works for 24 hours a day. It represents a fusion of the European architecture, Chinese culture, and ultra-modern skyscrapers. Although cosmopolitan and very modern, it offers more of Chinese culture than Hong Kong, and it has a lot to offer to anyone who visits it. However, Shanghai cannot be considered as a traditional Chinese city. It is way more than that. Shanghai is a fusion of different civilizations, cultures, architectures, and that is what make this city so unique. Shanghai’s best pleasures are free. It is quite hard to beat walks along The Bund or exploration of the Old Town, Pudong, and Old French Concession. List of Shanghai top free sights would be incomplete without Shanghai Museum, a place of history and knowledge. Of course, there are paid attractions too, but observation deck in Shanghai World Financial Center and Shanghai Circus World are well worth a money. A fascinating thing about the city is the fact that on the streets of the Old Town you can experience Chinese culture, The Bund offer much of the European architecture, while Pudong amazes with the latest architectural achievements. All in one day, all in one city. You can do some shopping in the modern Nanjing Road, and just a few kilometers away you can experience Yuyuan Bazaar, an authentic Chinese market. European legacy can be found not just in The Bund, but also in interesting Old French Concession. Shanghai during the daytime is beautiful, but at night it gets even better! And we are not talking here about expensive dinner or fancy disco clubs, but about the city itself. As the night fall, it seems like Shanghai wear a new shiny dress, decorated with thousands of sparkling lights. 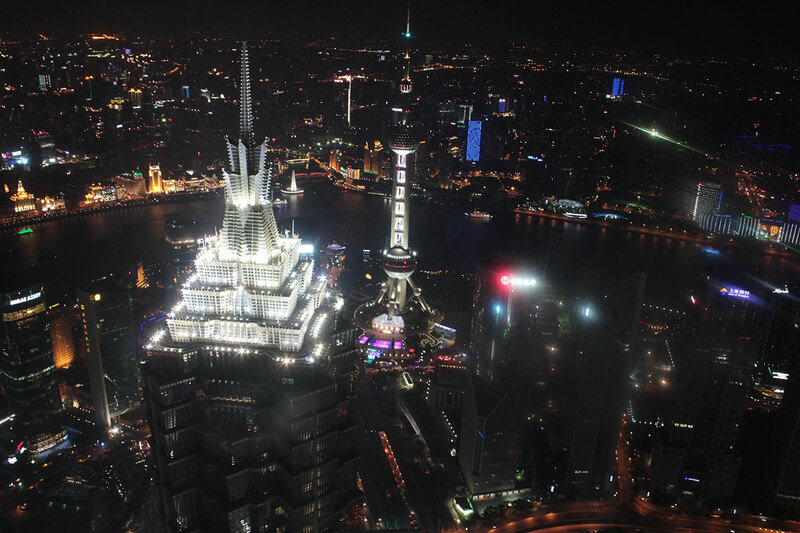 Views from The Bund and Shanghai World Financial Center observation deck during the night are just breathtaking. So is night Huangpu River Cruise. Shanghai is the largest and richest city in China, and also the busiest port city and economically most important city in China. It is divided into two parts by the Huangpu River running through it –on the west bank is Puxi Area, while on the east bank is Pudong New District.